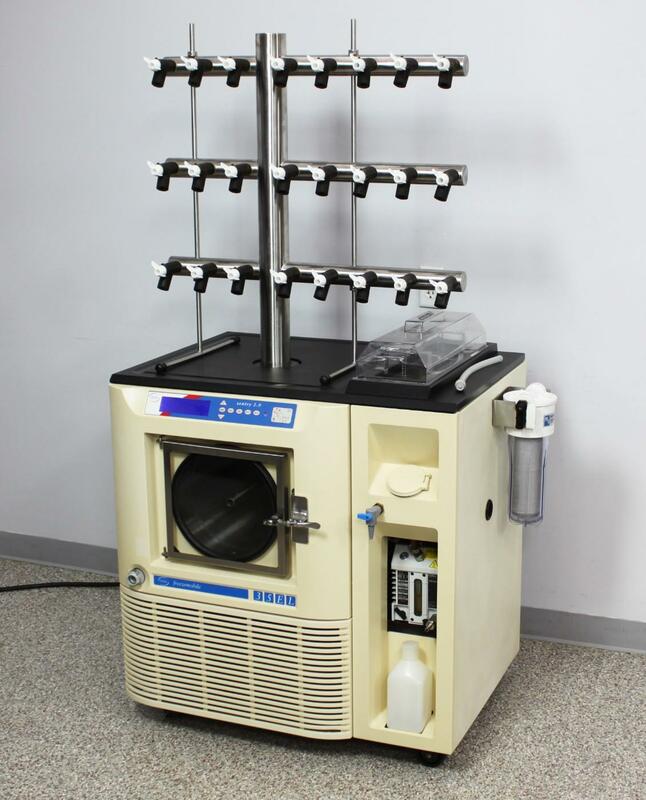 VirTis Freezemobile 35EL Freeze Dryer Sentry 2.0 Lyophilizer w/ 48-Port Manifold . New Life Scientific, Inc.
small parts, and regreased the dryer. be trusted to reliably serve for many years to come. so this system is considered to meet specification. This system is pulling to 9mT, exceeding manufacturer specifications by 6 mT. seal can also be a leak point, so it has been replaced. The vacuum oil was changed. the vacuum pressure will not achieve specification and may only achieve 196mTorr. - Front-facing oil access for Built-in Vacuum Pump allowing easy service. manufacturer and may not be accurate on all points for this instrument. * This specification is based on freeze drying water as aggressively as possible.